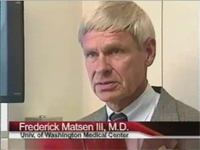 Please note that information on this site was NOT authored by Dr. Frederic A Matsen III and has not been proofread or intended for general public use. Information was intended for internal use only and is a compilation for random notes and resources. If you are looking for medical information about the treatment of shoulders, please visit shoulderarthritis.blogspot.com for an index of the many blog entries by Dr. Frederick A Matsen III. Please not that our library of shoulder and elbow Surgical Technique Guides, Surgical Rep Rolodex and Prostheses pages have more information pertaining to or related to our surgeries. 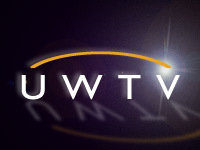 Dr. Matsen featured in UWTV program discusses the diagnosis, surgery and post-operative care for a patient with total elbow replacement surgery. Dr. Matsen and Sarah Jackins, physical therapist with the UW Bone and Joint Center, discuss shoulder surgery with an emphasis on patient involvement in this UWTV video. for adults living an active life. This procedure was pioneered by Dr.
Dr. Matsen discusses a new and innovative shoulder replacement surgery designed for adults living an active life. 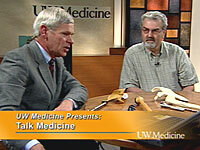 Dr. Matsen discusses surgery for the "big three" problems of the shoulder in this UWTV video. Learn how modern surgery can rebuild damaged joints through this focus on the "big three" problems of the shoulder. See how surgeons fix rotator cuff tears and a shoulder that will not stay in the joint. Also, learn about replacement of the bearings in an arthritic shoulder. This is a must read!